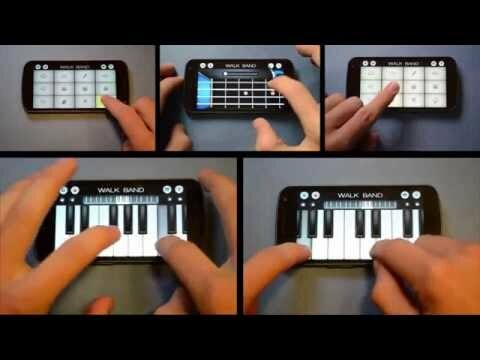 Walk Band is a music studio app – a toolkit of virtual musical instruments customized for Android. ☆ 50M+ Downloads Musical Instruments App.☆ Multitrack Synthesizer(Mixer). ☆ Studio Quality Sound. [ Musical instruments ] – Piano keyboard – Guitar solo & chords mode – Bass guitar solo & chords mode – Drum pad & kit mode – Drum machine – Usb midi peripheral keyboard support[ Multitrack Synthesizer(Mixer) ] – Midi track recording & editing – Voice track recording & editing – Piano roll mode editing – Midi to mp3 conversion[ Music Zone ] – Upload and share midi music recordings on cloudNotice: – Like Walk Band on Facebook: https://www.facebook.com/WalkBandApp – Teachers are welcomed to use it on music class. We are excited if this app help. 1. Crash when setting guitar chords2 Bring back previous Electric Piano plugin.3. Add keyboard sustain pedal feature.4. Bring back previous Drum Sound.